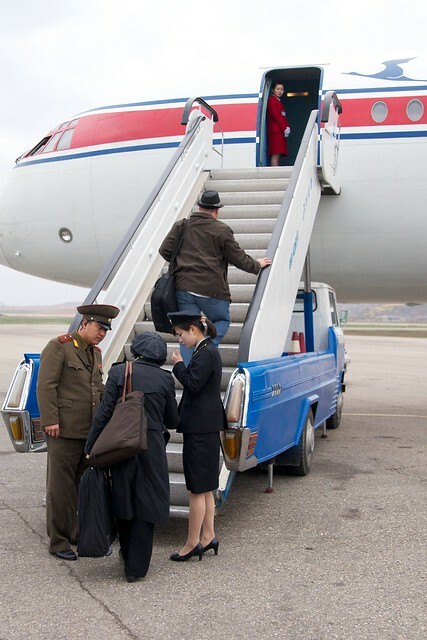 Welcome to North Korea, We Hope You Enjoyed Your Flight! 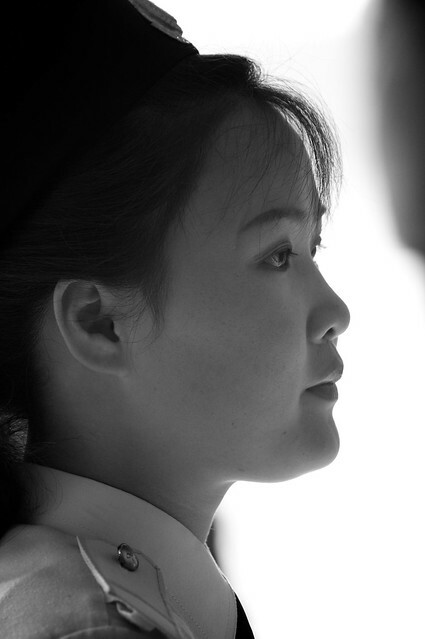 A natural beauty greets passengers at the Pyongyang International Airport, North Korea. 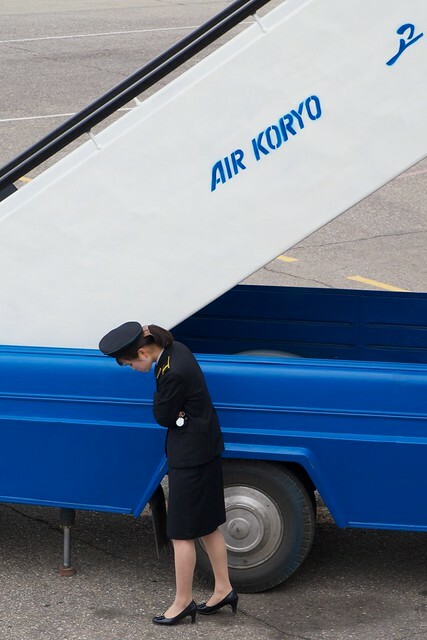 “Where are you from?” the North Korean flight attendant asks me.“I’m American, but I live in Japan.” “I hate America! I hate Japan! What would you like to drink today, sir?” she said. I suppose the above could be true, but I tend to think the encounter was sensationalized at the very least. 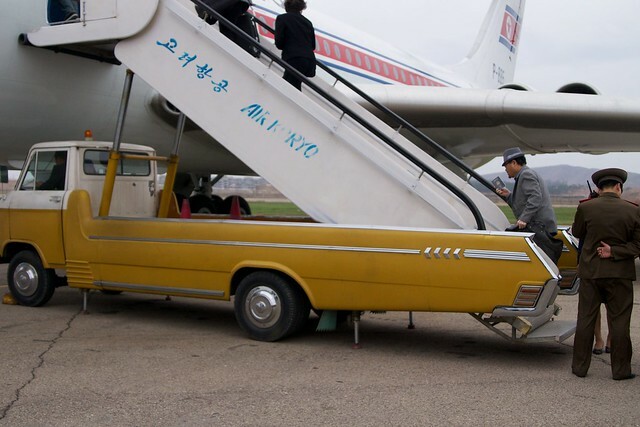 The North Koreans we encountered never let slip any blatant anti Americanism – although the stewardesses of Air Koryo did put on some of the best unintentional comedy of the trip. 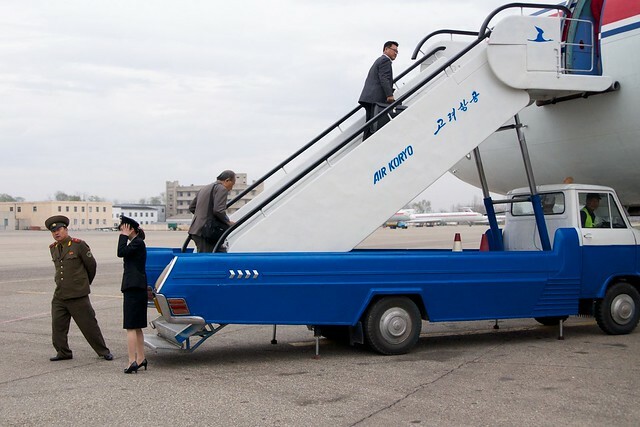 After packing into the old Russian Il-62 jet liner, our outbound Beijing to Pyongyang flight was delayed and we sat on the tarmac for 2 hours. 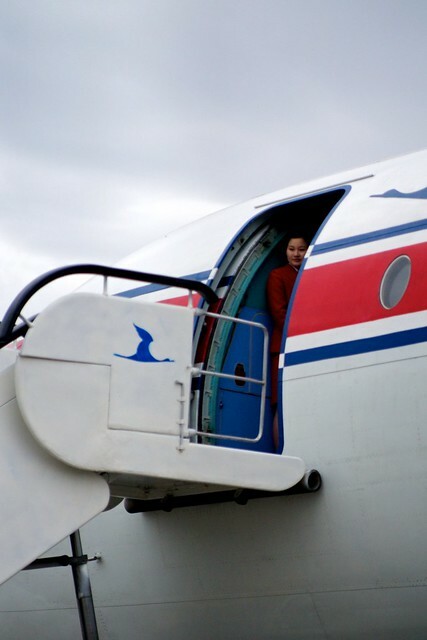 Between dealing with cramped passengers, and scrambling to wipe up dripping pools of condensation from the overhead, the stewardesses subjected us to our first introduction to the famous draconian rules and regulations of North Korea. As a group, we had been told “no photos” on the airplane, but of course we snuck photos. 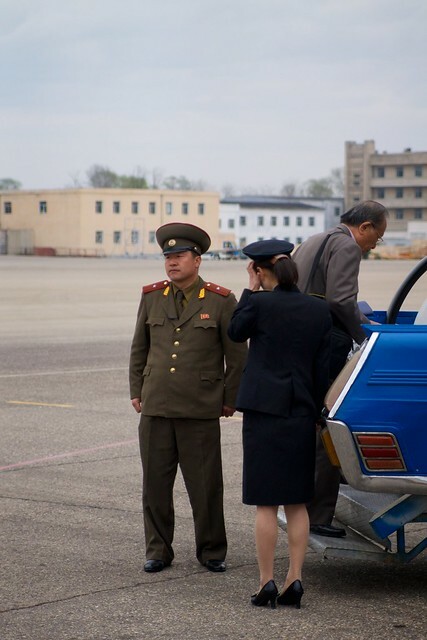 When the North Korean stewardesses finally ran out of patience they singled out a transgressor to make an example of, and with the entire passengers cabin attention, a stewardess made a traveler flip through his digital camera pictures, “delete that one, yes, and that one, yes, keep going, and delete that one, yes” – it was quite the show! 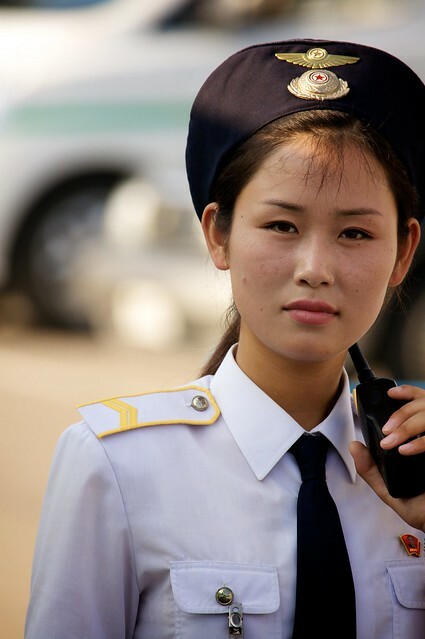 We had been warned about the sensitivity to photography in North Korea, but this was the only time I witnessed such corrective actions – and we were still in Beijing! 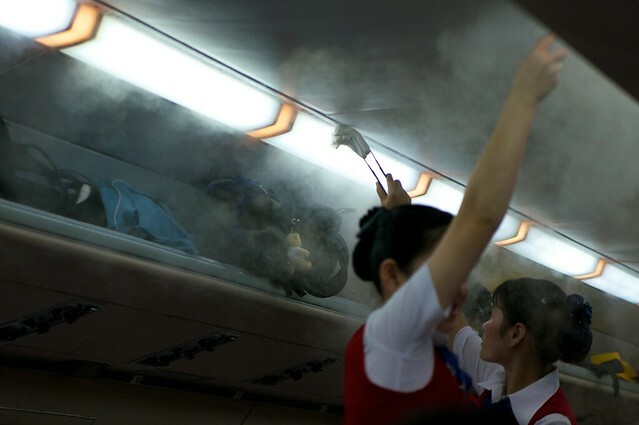 Air Koryo stewardesses wipe up condensation on the Russian made Ilyushin Il-62 jet liner during our 2 hour run way delay for take off out of Beijing. 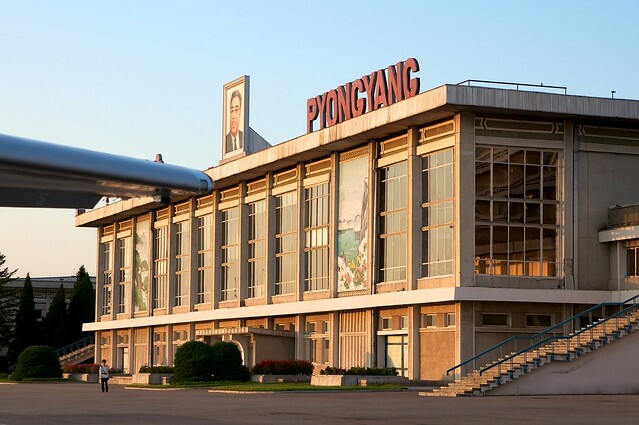 Pyongyang International Airport in the afternoon sun, DPRK, North Korea. 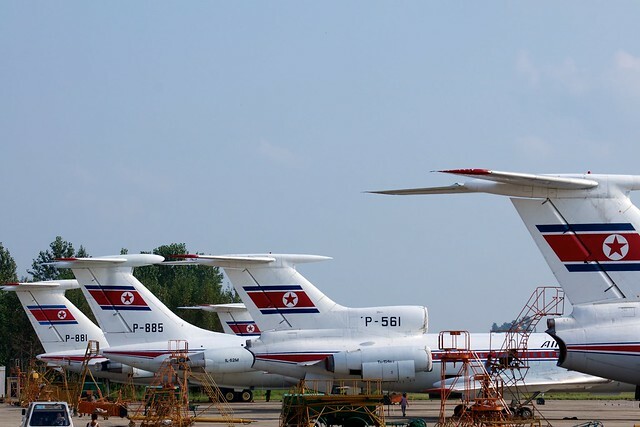 More jets in the Air Koryo fleet. 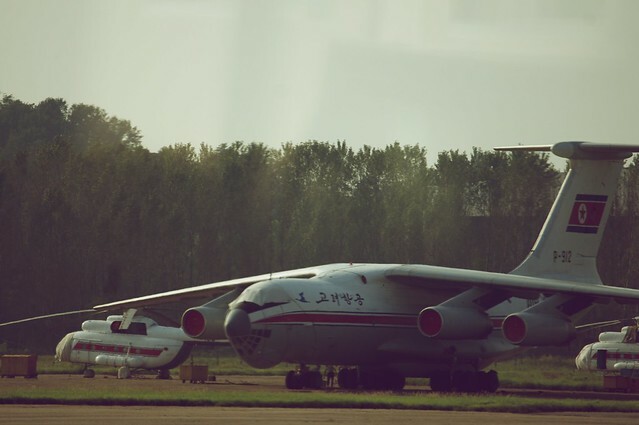 Air Koryo jet and helicopters. 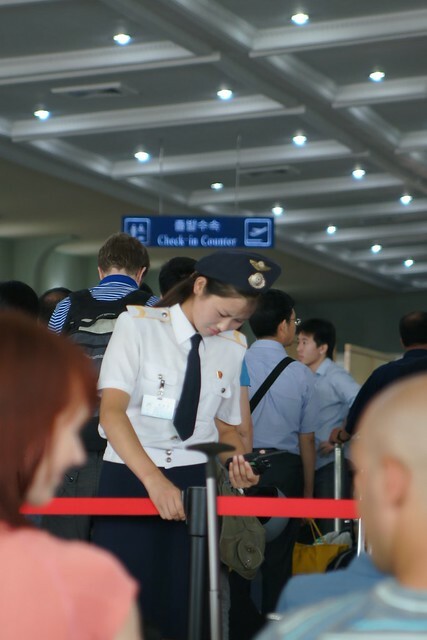 Pyongyang International Airport official at the departure lounge. 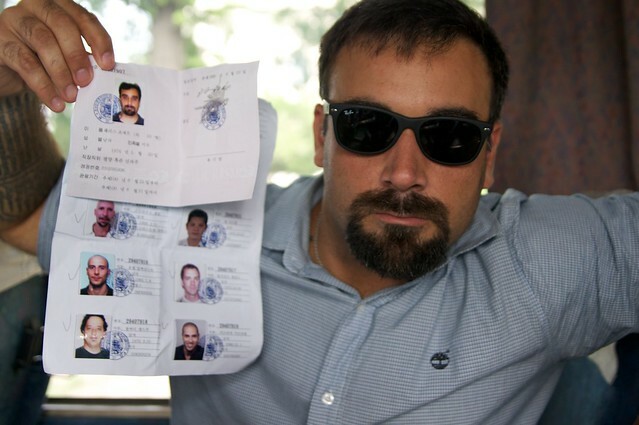 Joseph A Ferris III with the group visa to North Korea. 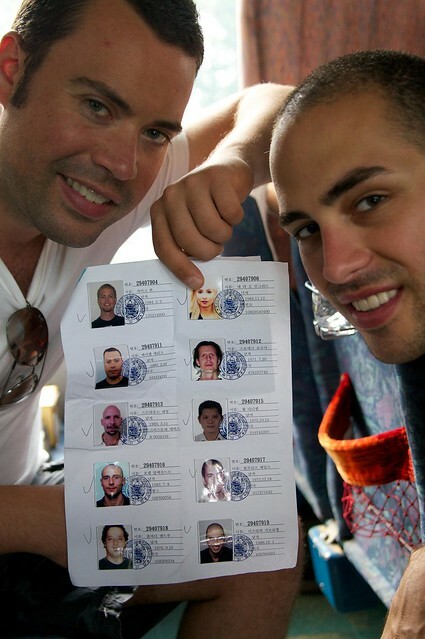 Jordan Harbinger and Gabriel Mizarhi with the North Korean group visa.